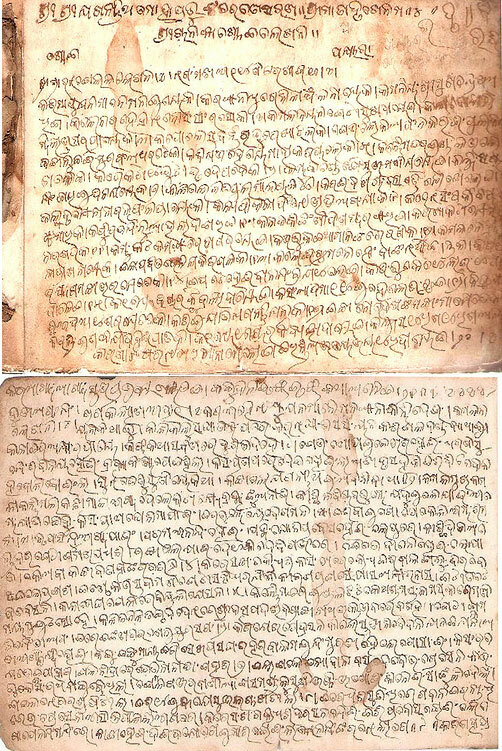 Above is a sample of Odiya script from approx. 150 years ago, that traveled with its seafaring owner to the island nation of Mauritius. Found on Orissa Matters, and presented as evidence of the accomplishments and presence of Odishan sailors and traders, in an effort to rename the British-titled “Bay of Bengal” to “Mahodadhi”, after the old Odishan empire. I have found it particularly hard to find examples of Odiya script here in the US and in the UK – and this is the first time I’ve seen pen-and-ink modulated Odiya writing like this. Hooray! This is a lovely find. The density and rhythm of the text is very different from any Odiya print I have seen. Do you have larger versions of the images? I would love to see how the head curls and the bodies of the letters relate compared to type versions.